← The Woodgatherer in my memory, and on a bag! George Engleheart, Woman in a Hat, ca. 1790. Milwaukee Art Museum, Gift of Edith Maclay in memory of Frederick H. von Schleinitz. Photo by John R. Glembin. I can’t believe that we’re already at the last week of the exhibition Intimate Images of Love and Loss: Portrait Miniatures. Once the show closes this Sunday, October 31, these incredible, tiny masterpieces go back into Museum storage. The Woman in a Hat miniature to the left is housed in an 18-carat gold mount, handmade by a master jeweler. Made to be worn as a bracelet, the mount is slightly curved to fit a woman’s wrist, and two lines of holes on the top and bottom reveal where peals were once affixed. The artist, George Engleheart (English, 1750–1829), was miniature painter to King George III of England. 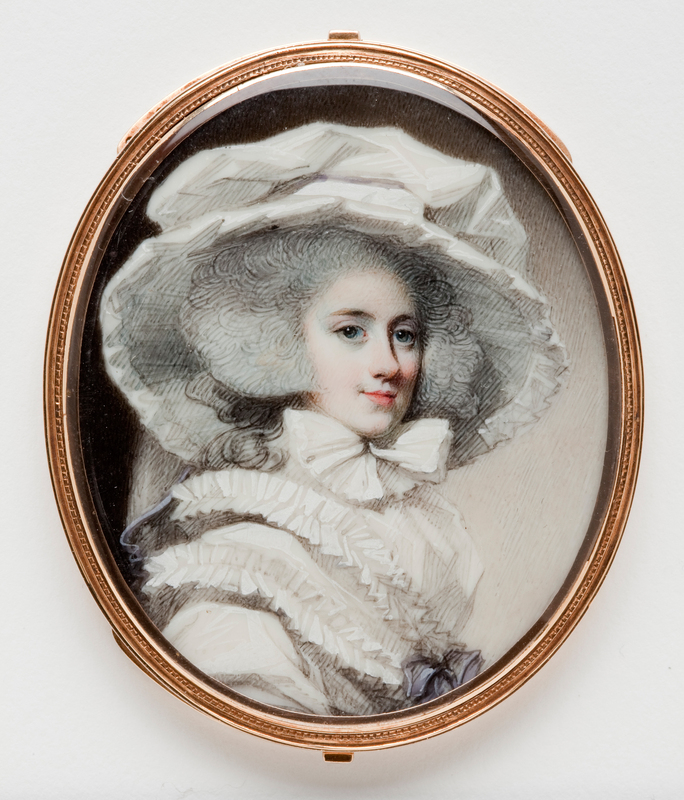 An excellent example of Engleheart’s style, this miniature uses a restricted palette of white, gray, and blue, with touches of pink on the lips and cheeks. Attributed to Jean Etienne Liotard, Man in a Gray Coat, ca. 1770. Milwaukee Art Museum, Gift of Edith Maclay in memory of Frederick, H. von Schleinitz. Photo by John R. Glembin. Miniatures by Jean Etienne Liotard (Swiss, active France, 1702–1789), like the one above, are extremely rare. 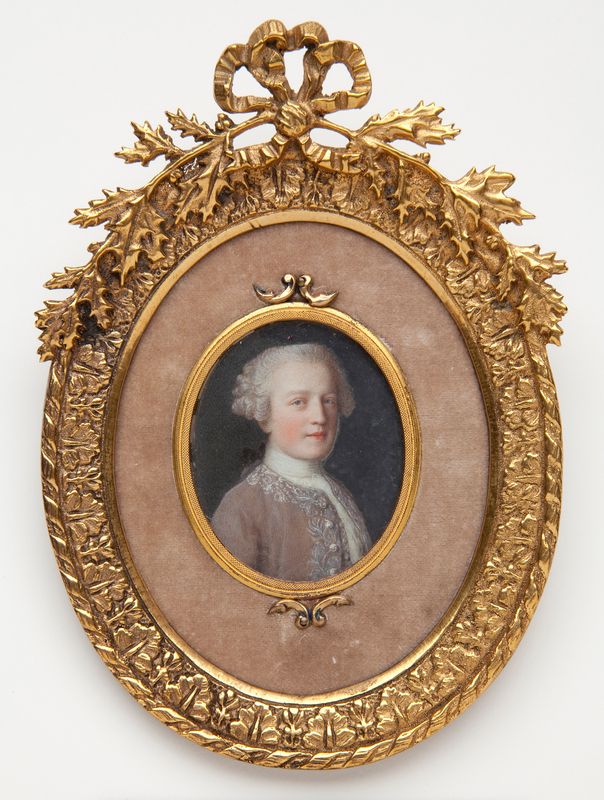 Before this miniature was discovered, only sixty-two miniatures on ivory and in enamel are known to be by Liotard. Now there are sixty-three! Liotard was one of the most fascinating and idiosyncratic artists of the eighteenth century. Nicknamed “The Turk” after adopting eastern dress following a trip to Turkey, Liotard spent his career traveling around Europe painting royalty. His admirers called him the “painter of truth” because he avoided flattery and embellishment in his portraits. Attributed to Moritz Michael Daffinger, Young Man in a Blue Coat, ca. 1820. Milwaukee Art Museum, Gift of Mrs. Albert Friedmann. Photo by John R. Glembin. Emanuel Thomas Peter, A Young Girl with Pink Hair Ribbons, ca. 1860. Milwaukee Art Museum, Gift of Mrs. Albert T. Friedmann. Photo by John R. Glembin. The Milwaukee Art Museum is extremely lucky to have significant examples of Central and Eastern European miniatures. 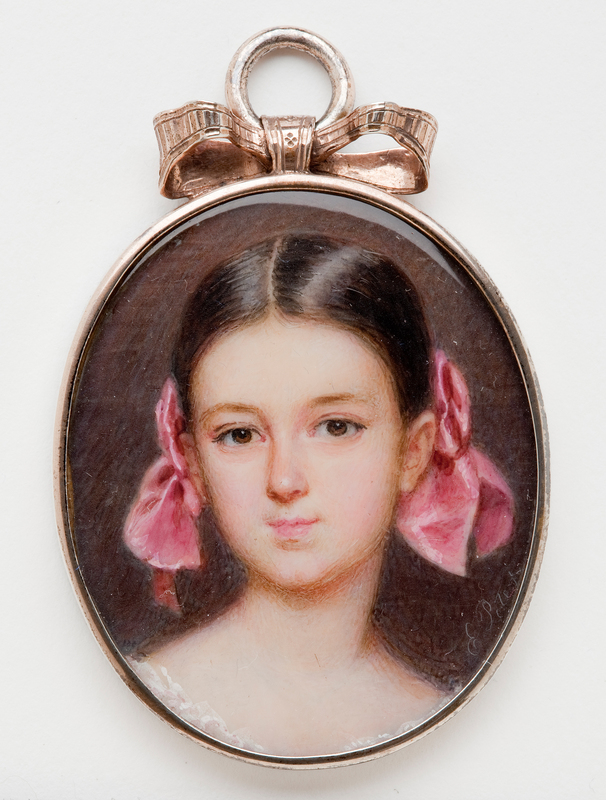 Most US museum collections focus on English, American, and French miniatures. You might remember Austrian artist Moritz Michael Daffinger’s (Austrian, 1790–1849) watercolors of flowers from the 2006 exhibition Biedermeier: The Invention of Simplicity (Click here for a New York Times article on the Museum’s exhibition). 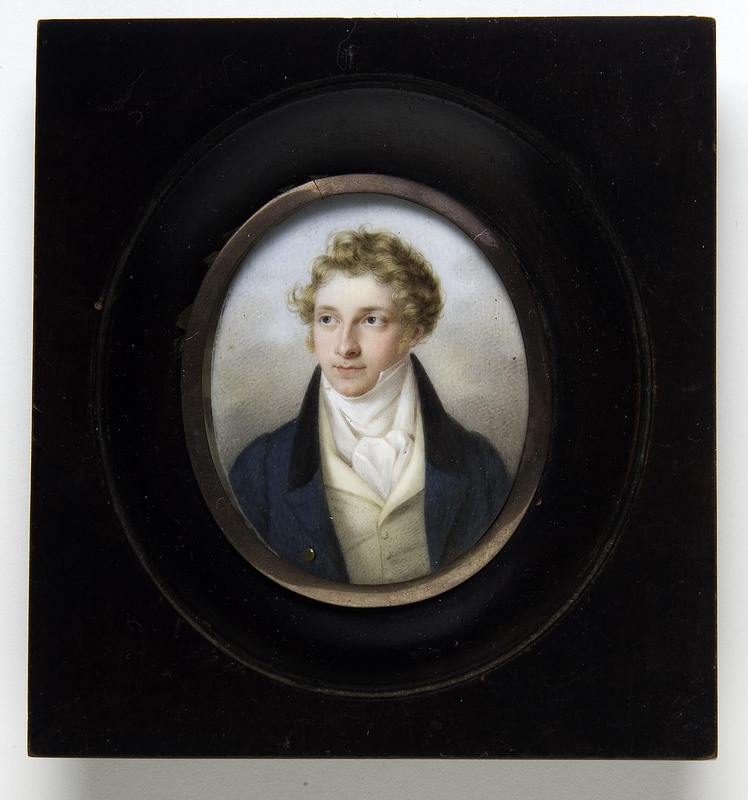 In fact, Daffinger was best known as a portrait miniaturist. Emanuel Thomas Peter (Austrian, 1799–1873), who painted this delightful little girl with pink hair ribbons, was Daffinger’s student. This entry was posted in Art, Curatorial and tagged 19th Century Art, European art, George Engleheart, Portrait Miniatures. Bookmark the permalink.